FinTech lender CASHe and online lending marketplace, Paisabazaar have recently announced their strategic alliance with each other to disburse short-term personal loans to salaried millennial customers. 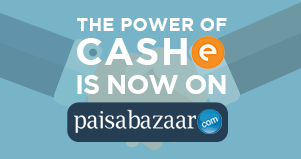 Through the tie-up, Paisabazaar will leverage CASHe’s Fintech innovation to disburse 35,000 loans by end of 2017, with an aim to hit an annualized loan disbursal worth Rs 6000 crore. 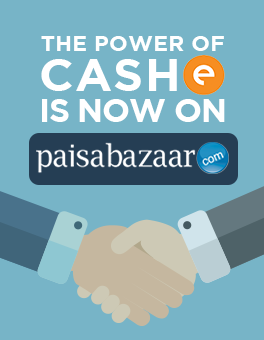 Paisabazaar, with the partnership of CASHe, will now be able to disburse instant personal loans to salaried millennial customers with low credit score through the CASHe platform. This is about building a win-win alliance and trust, to help customers tide over their temporary cash crunch. Short-term personal loans from CASHe are extremely easy to get with a maximum time of about 8 minutes for a loan credit. The entire loan application procedure is simplified through digital technology at the customer interface, namely CASHe. The documentation is app-enabled and unlike bank loans, loans from CASHe do not require credit checks. CASHe relies on its proprietary credit-scoring algorithm known as the Social Loan Quotient (SLQ) to arrive at a unique credit profile of the customer. According to V Raman Kumar, Chairman of Aeries Financial Technologies, the launch of CASHe’s app-based short-term personal loan products on Paisabazaar’s platform will introduce CASHe to Paisabazaar’s wide distribution network and customer base in the short-term lending space. Paisabazaar CEO, Naveen Kukreja stated that Paisabazaar receives a huge chunk of loan applications from customers with low credit score; the partnership, therefore, will enable the company to cater to customers with credit score issues. Naveen Kukreja not only endorsed CASHe as a great platform for short-term credit, he also called it an excellent medium for customers to build their credit profile. You can read the entire Press Release here.